After seeing Logical Harmony's list of vegan C.Tilb (yep, thats what her pals call her) items, i knew i needed this palette immediately. The Sophisticate palette is available for $52 and contains 4 matte shades, making it (what i believe to be) the only entirely matte palette she's released. The Golden Goddess and The Rebel are also vegan, you can find Logical Harmony's full list of her vegan items here! I don't know about you guys but when i'm going to spend more on a makeup item, i like it to be something i could use daily if i wanted to (neutral shadows or natural lip shades etc), so her matte palette was the obvious choice. Clearly, the packaging is flawless. From the mirror complete with her signature star detail to the sound the product itself makes when you close the lid... its clear that lots of attention has gone into making this a long-lasting, well-built item. 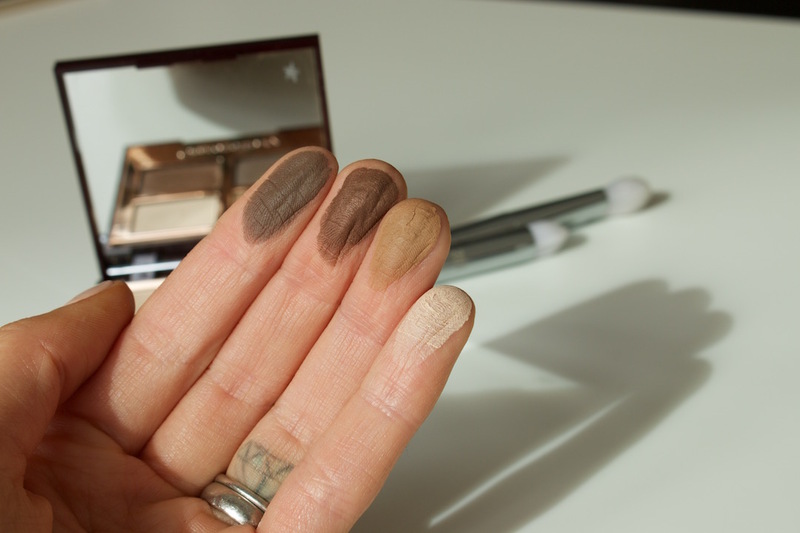 The shadows themselves are beautiful and you can create all the neutral looks from a light shimmer all the way to the smokiest of eyes with this. 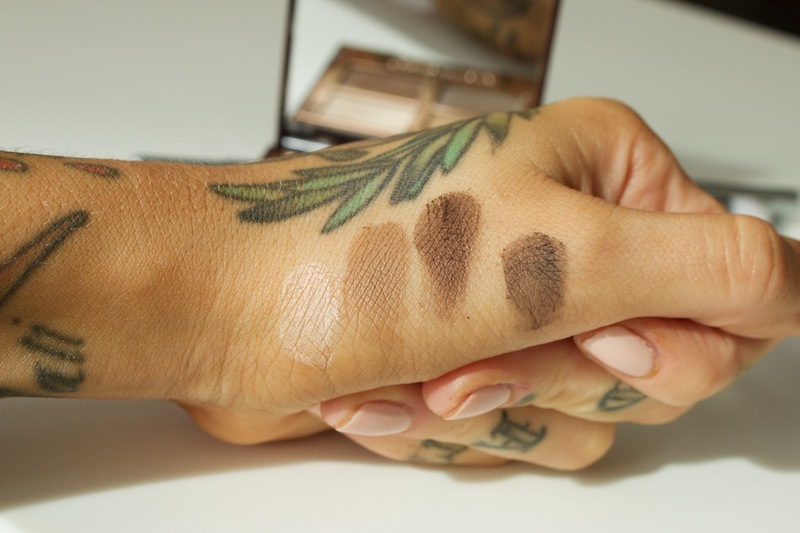 The two lighter shades are a little smoother and butterier to use and the darker shades are a little more flaky or crumbly but as long as you're aware, just a tiny dab of the brush into them gives such pigmented smooth application. I do love that they included a grey shade instead of the usual black that comes in neutral quads because i think its a little more wearable and forgiving. I know the black in any palette is usually my least used because you need such a small amount when you do use it. The packaging and product are both beautiful and this would be an awesome palette for anyone who doesn't collect a ton of products but wants a treat (you deserve it, i'm sure) or someone who just really wants something from Charlotte Tilbury but isn't sure where to start. I wouldn't say these eyeshadows are particularly superior to other formulas but they're pigmented, easy to work with and like i mentioned before, if i'm going to buy luxury items i want it to be something i could use for any occasion. So if you have been eyeing up Charlotte Tilbury products, i think this would be an awesome place to start because of how usable it is. 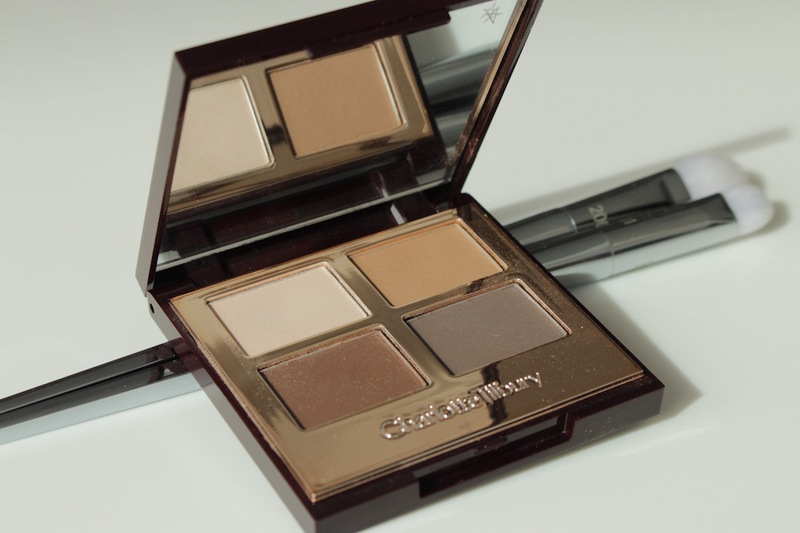 If you want your own Sophisticate palette, you can find it here and as always, leave your opinions below if you have this or any other C.Tilb. items!